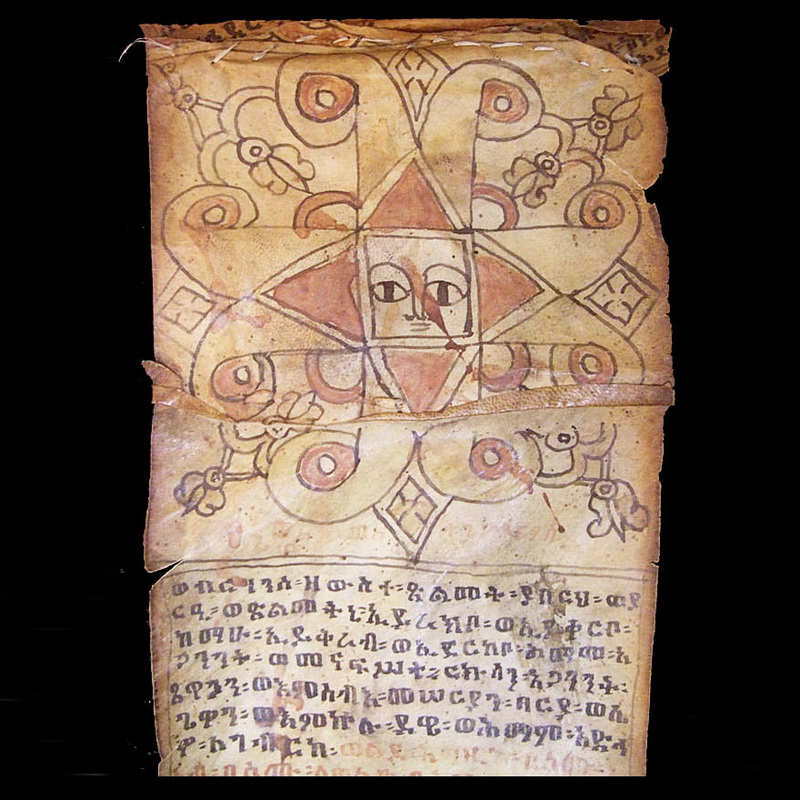 The text, in the Classical Ethiopic language (Ge'ez), comprises a prayer designed to protect a young man against evil spirits which are causing suffering. 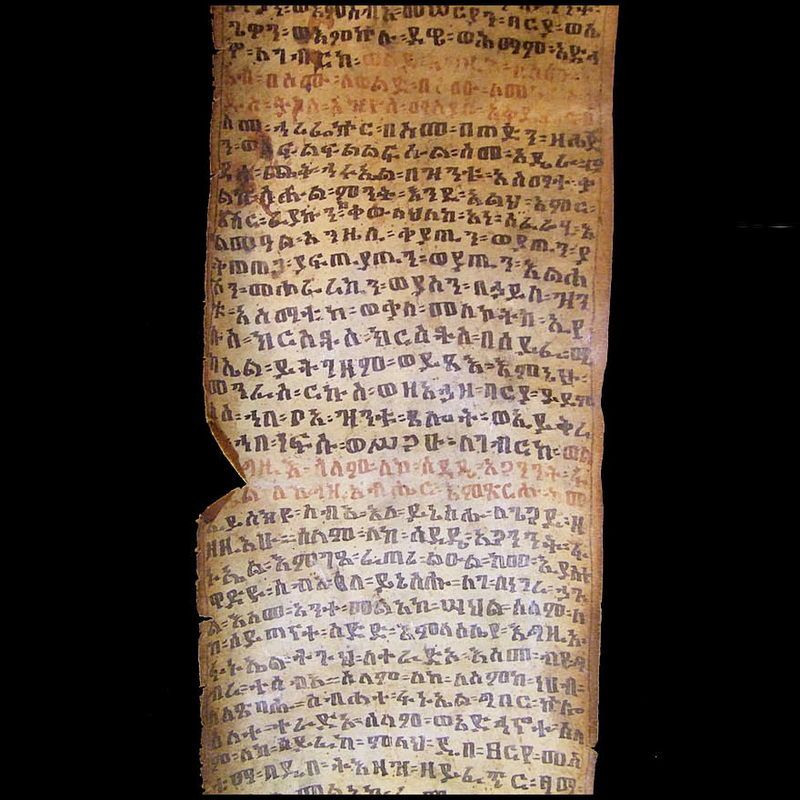 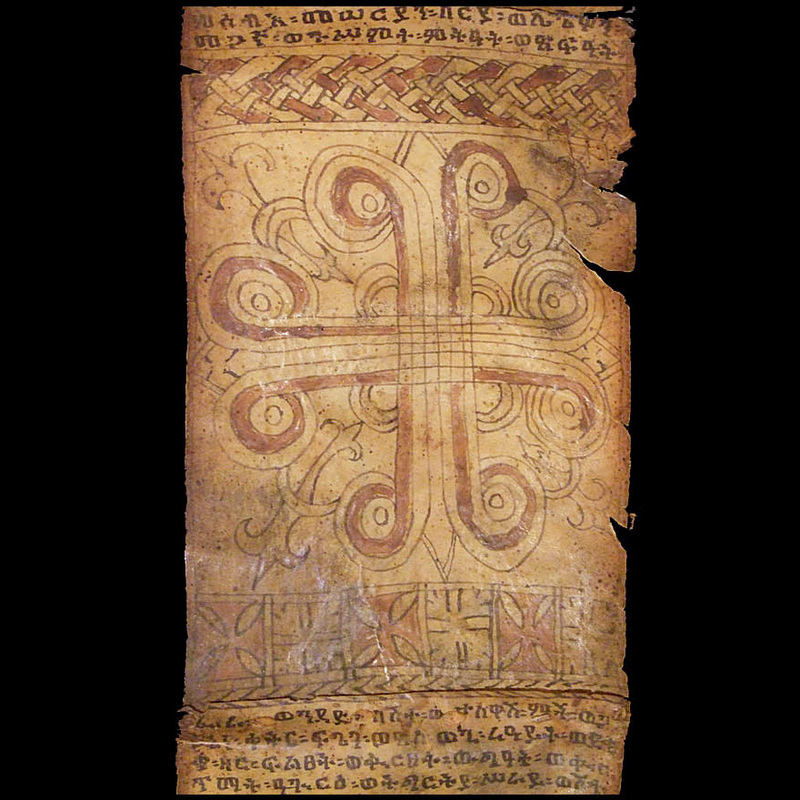 The scroll would have been composed by a priest of the Ethiopian Orthodox church. 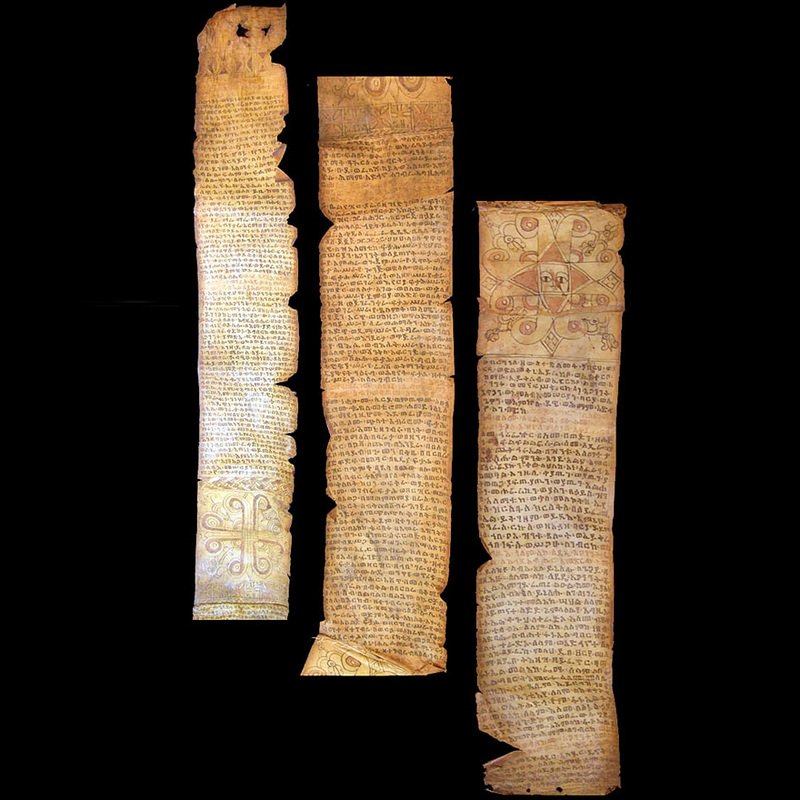 It would have been carried by the owner or placed in his house to provide constant protection. 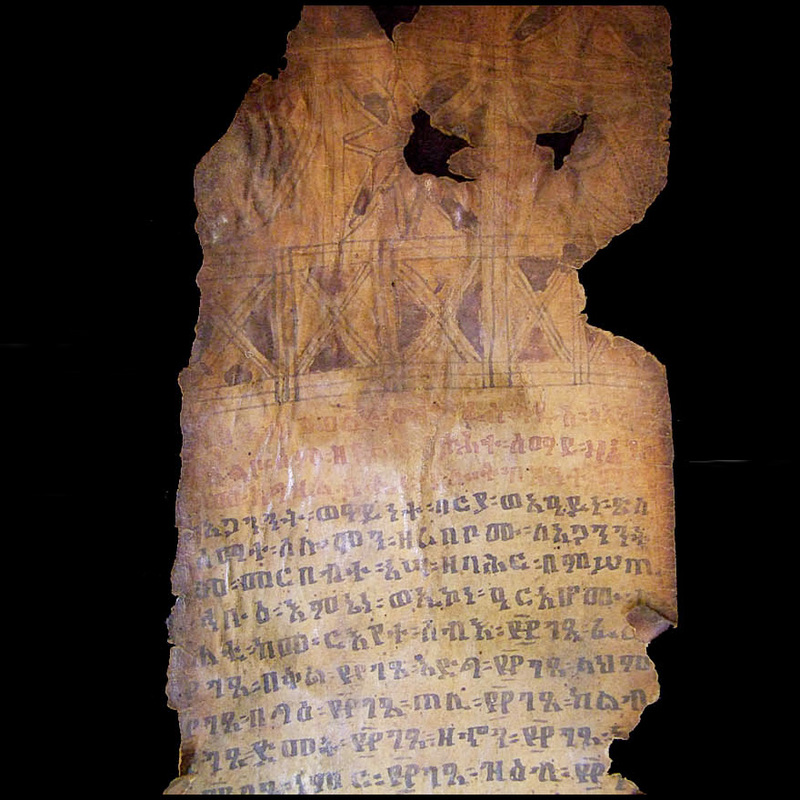 Some damage at the head and right hand edge; otherwise good condition, with wear in sections.